The Hart 4 Trail Race 2017 was a huge success again this year. 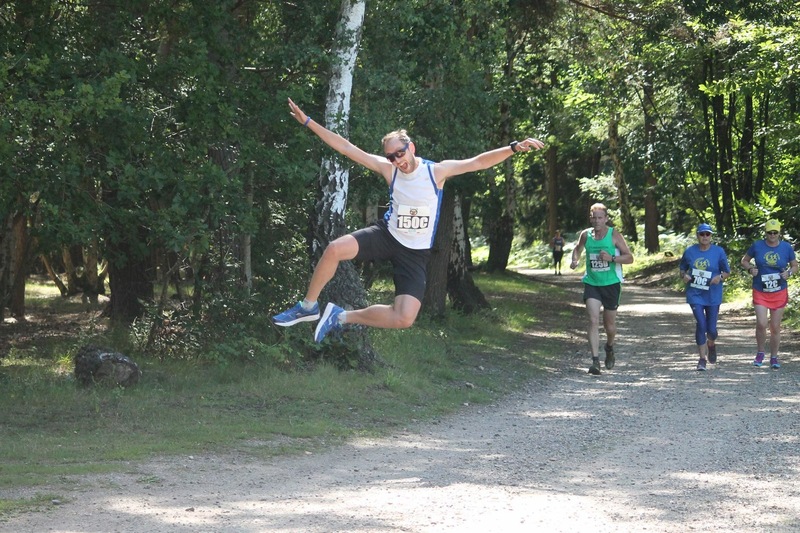 Over 600 runners with friends and family enjoyed a superb event in the Minley Woods with what is now becoming the ‘must do’ trail event in North Hampshire. 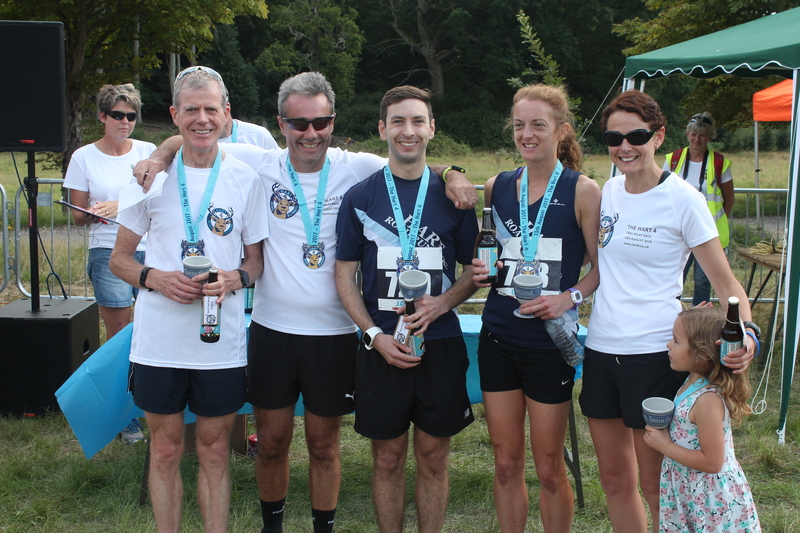 Glorious sunshine, family entertainment, excellent catering and a beautiful setting created a party atmosphere for the four-hour trail relay. 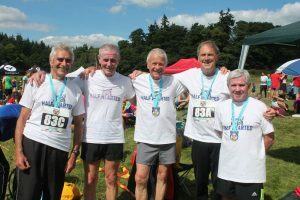 Organised by Hart Road Runners, the event drew competitors from many local clubs and individual runners with closely fought competitions in all categories. A special well done to ‘Four From Hart’ – James Boffin, Sarah Cleland, Ged Ruffle and Lesley Locks, who were second mixed team completing 16 laps in 4:11:24. 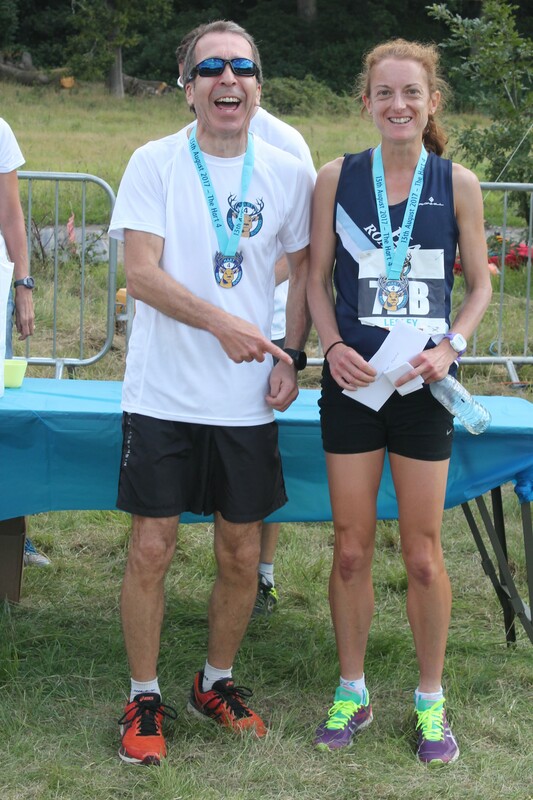 Lesley also ran the fastest female lap in an amazing time of 14:57 so congratulations to Lesley. A big well done to ‘The Half Hearted Team’ – Phil, John, Brian and Bryan, with a combined age of over 300, completed 36km in 4 hours. Not at all half hearted! There has already been (and rightly so) a massive amount of positive feedback regarding the Hart 4 event today. From other running clubs posting on FB to individuals commenting at the race itself, it has truly been a massive success. I wanted to place on record the club’s thanks to the Hart 4 team, the event was meticulously planned and run with a precision that reflects on us all as HRR. 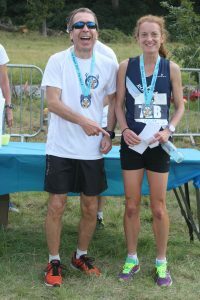 Thanks also to every Helper, Marshall and photographer, the cheers as you run round certainly make the course seem slightly easier! Roll on 2018! UK Endurance Running Coach Sessions at HRR – Not to be missed!